The JML PTA Green Team sponsored a school beautification day on April 5, 2014. The Team, along with over 100 volunteers, picked up trash, weeded, mulched and planted around the entire school campus. Volunteers consisted of students, parents, teachers, staff, boy scout troops, girl scout troops and local business partners. 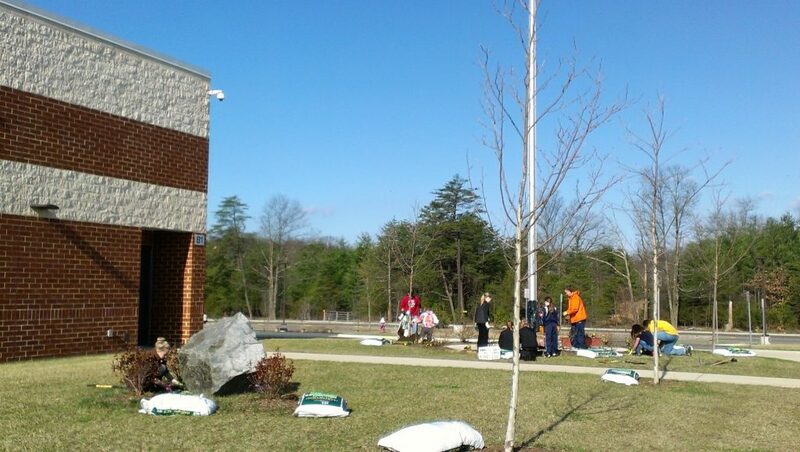 Over 150 bags of mulch were donated by parents and spread throughout the campus. Over 75 trees and flower beds were attended to and numerous trash was picked up throughout as well as in the woods surrounding the baseball field, soccer field, basketball courts and parking lots. The Green Team hopes to make this project a regularly yearly event.